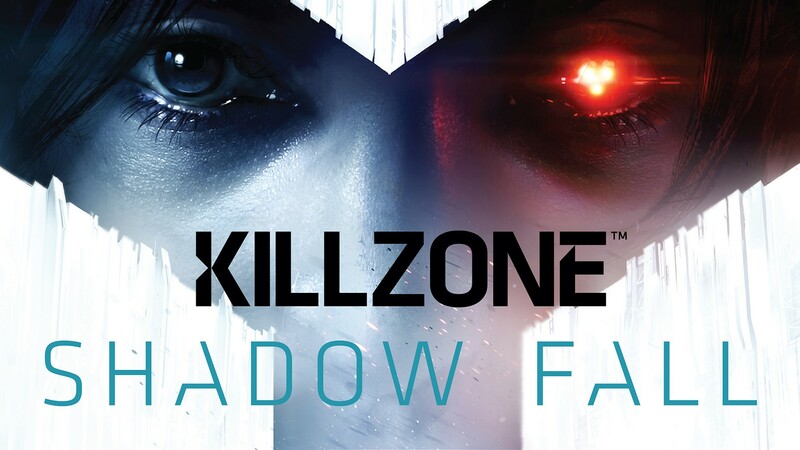 Killzone Shadow Fall is the sixth game to be released in the Killzone series, a series exclusive to Sony platforms. It takes place in the year 2390, 30 years after the events of Killzone 3, on the fictional planet of Vetka where a wall has been erected which separates the planet into two halves: Vetka and New Helghan. During the events of Killzone 3 the planet of Helghan was rendered uninhabitable. The surviving Helghan were granted refuge on Vetka and hence the creation of The Wall, meant to separate the two feuding civilizations. You play through the game as Lucas Kellen, a Shadow Marshal of the Vetkan Security Agency (VSA), as he encounters unexpected alliances and major choices that may doom his own people and risk the lives of millions. The game’s overall narrative falls short of the mark though Killzone Shadow Fall does compensate in other ways. Much like other games in the Killzone series Shadow Fall focuses too heavily on its gameplay and graphical competence rather than on a worthwhile story line. The characters are so-so, some are very interesting while others fall utterly flat making it somewhat unmemorable. What you are trying to accomplish tends to become rather unimportant and therefore forgettable at times which causes you to simply follow a beacon and kill your enemies without really thinking about the goal. As I said, there are some redeeming qualities which do make the game worthwhile if you can look past the lack of depth when it comes to the narrative. 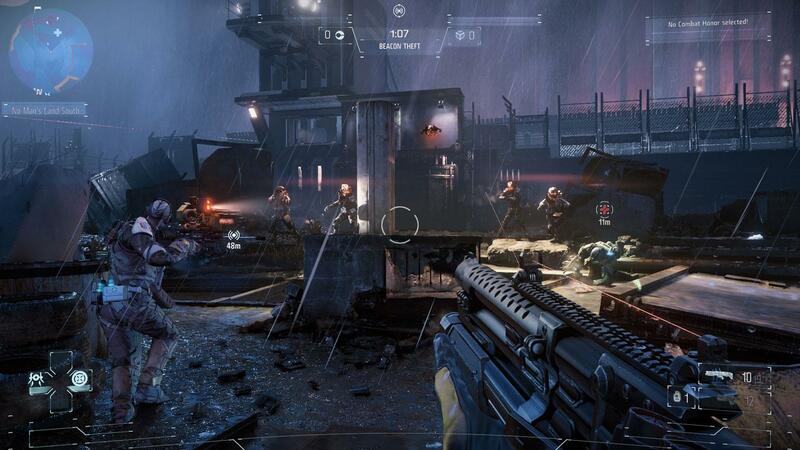 If you appreciate the first-person shooter genre then you will definitely enjoy the gameplay in Killzone Shadow Fall. The shooter aspects are well executed providing a smooth and responsive gameplay experience. The typical weapons are featured, such as assault rifles and shotguns, with the addition of a unique weapon called the LSR44. The LSR44 functions as a hybrid assault/sniper rifle and hosts miniature railgun functions. The weapon also features no recoil and is equipped as a default weapon throughout the game. Another unique feature to Shadow Fall is the OWL, an attack drone that is used to assist Shadow Marshals in combat. The drone will provide cover, attack enemies, hack specified devices, act as a EMP grenade, repel you down or pull you up in the environment and revive you. The OWL is controlled by the player through the Dualshock 4’s front touch pad which is a great use for that specific feature. The PlayStation 4’s Dualshock 4 controller is utilized in other fun and innovative ways such as lighting up green, yellow or red depending on your health level or playing audio diaries out of the controller’s front speaker. There are plenty of collectibles throughout the game which offer up some insights on characters, areas, the setting, and the situation thus far. The HUD (seen in the image above) is light and transparent which makes it easier to see and experience the game due to less on-screen clutter. The gameplay as a whole does differ from past games in the series in that you are fighting alone through most of the game. There are rarely ever allies or assisting soldiers which makes you compensate by focusing more on stealth and tactics rather than running and gunning. Shadow Fall’s gameplay is fun and adds a few unique feature to differentiate it from the typical first-person shooter. 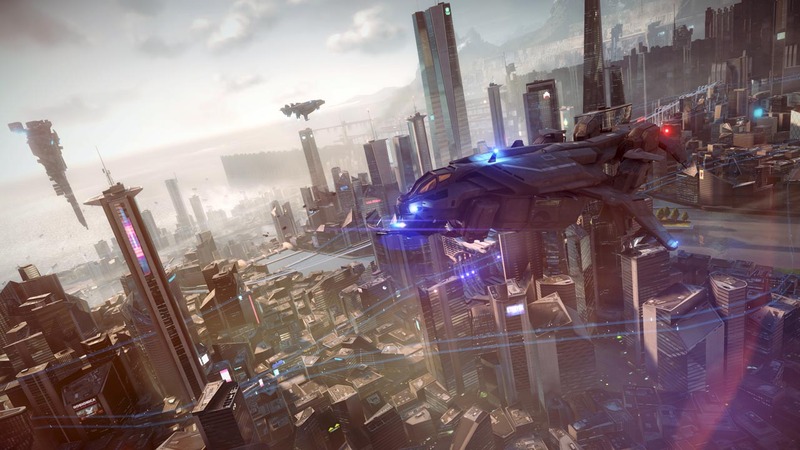 Killzone Shadow Fall features some of the most brilliantly beautiful graphics in any video game to date. As a launch title for the PlayStation 4 the developers when above and beyond in graphical quality. Every single person and thing in the game looks stunning, from the raindrops on a window to the faces and movements of the characters. It is truly a sight to behold and shows a lot of the power the PlayStation 4 possesses. The game’s soundtrack is well done. There aren’t many memorable tracks but it feels appropriate for the setting and situations. Shadow Fall’s voice acting cast did a good job as well, though none of the performances were particularly memorable. The dialog was also well done and thought out which helps the bland narrative out. In conclusion I would say this game is mostly worth playing. If you do not hold it to a high standard and you should enjoy it enough, at least for the graphics and gameplay if nothing else. One thing I would note is that the difficulty rises throughout the game and that the game, even on medium or easy difficulty, can become extremely hard in certain areas. Unless you are going for the majority of the trophies in one playthrough I’d suggest playing it on easy first. Due to the story being so lackluster the rising difficulty throughout the campaign can be very tedious, making it hard to continue. Otherwise I’d say that if you are in to first-person shooters and have a PlayStation 4 this is definitely a game you will want to at least rent. Previous Previous post: January Update: Flashback Sunday Becomes Nostalgia Saturday – Plus Streaming News! Next Next post: Reader Discussion – Added Multiplayer: Yay or Nay? What did you think of Echo? I liked her more than the other characters. She was one of my favorite parts of the game. Especially with that last level! I liked her as well, I actually thought she was the best character in the game. She was really the only one with any depth and true emotion. I really enjoyed her character in the game. Same here. I hope they give her a sequel with a better story. I use to be a huge gamer since 1977, and played every thing under the sun when it came to video games. But then I was introduced to Killzone way back in 2004. I instantly fell in love with the storyline and game play(especially FPS). Not to mention my first ever multiplayer game. I am so hooked on everything that Guerrilla Games does with Killzone, and can’t stick with playing anything else for long but Killzone games. Don’t get me wrong, I buy other games like Call of duty, Crysis, Battlefield, etc… but It’s not a Killzone game. With that being said, I really love Killzone Shadow Fall! I do agree with you on some of the characters, but what game can you say doesn’t have bad characters in them. Jamie Gray Hyder (Echo) definitely stole the show in Shadow Fall and she needs to come back for another round as Echo. Maybe I’m just too much of a Killzone fanatic, but I truly love this game.